Throughout the ages men of flair, faculty and outstanding courage have contributed to England's glorious heritage. Others, like the snivelling worm Edmund, Duke of Edinburgh, the bitter and twisted son of a medieval king, have emerged from the dust of dodgy documents to claim their wrongful position in history.THE FORETELLING. With Peter Cook as Richard III. From out of the swirling mist of the Dark Ages comes a lone horseman cursed from youth by a deformed haircut and sporting a particularly evil pair if tights.BORN TO BE KING. Treachery, murder and Morris-dancing break out in all their full horror when an orange-faced stranger arrives at court.THE ARCHBISHOP. The landscape is littered with dead Archbishops of Canterbury. Edmund's cunning plan is to get his deadliest rival appointed to the vacancy....THE QUEEN OF SPAIN'S BEARD. With Miriam Margolyes as Princess Maria. The King's international treachery gives the hideous Edmund a chance to press his clammy body against of Europe's most eligible princesses.WITCHSMELLER PURSUIVANT. Frank Finlay stars as the repulsive Witchsmeller. The King is a bit under the weather with Black Death. 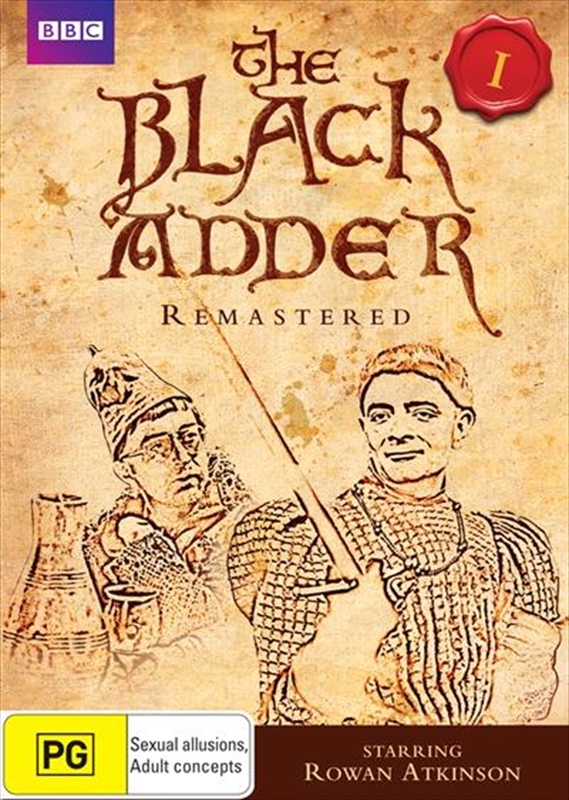 Witchcraft is diagnosed by the Black Adder and only one man can root it out.THE BLACK SEAL. With Rik Mayall as Mad Gerald. In a final gesture of defiance Edmund rides forth to seek out the Seven Most Evil Men in the land and return with them to seize the throne.